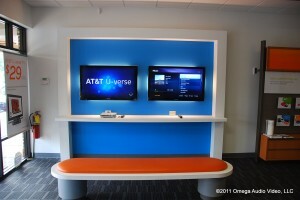 Omega Audio Video, LLC has completed two of the new “Generation Four” stores for AT&T in John’s Creek and Woodstock. 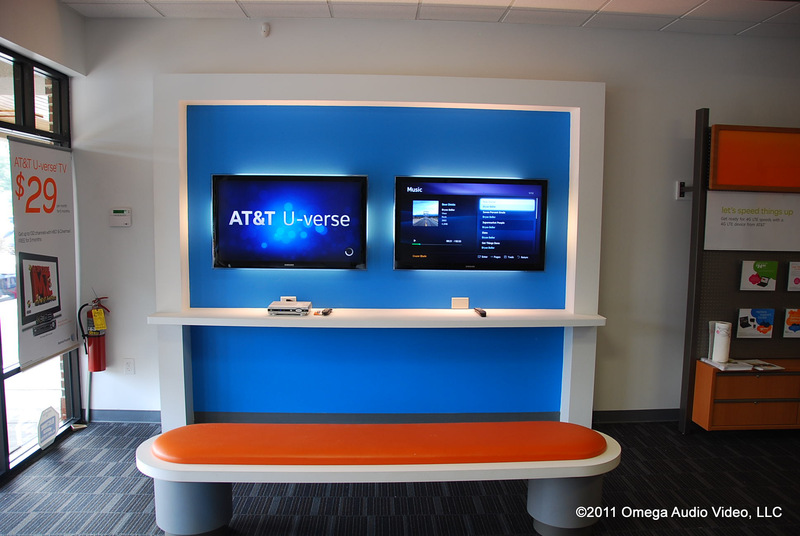 Omega Audio Video, LLC worked with AT&T as a General Contractor to deliver an operational ready store to the staff. Omega Audio Video, LLC handled everything from cabinet installations, lighting design and automation to installing the local area network (LAN), Phone System and the point of sale (POS) systems. Omega Audio Video, LLC also installed digital camera systems and automated HVAC systems that can be remotely viewed and managed. There is also a display in each location to try out the AT&T U-Verse TV. We built two 55” TV’s into a recess and then we backlit the recess to highlight and attract customers to the display.